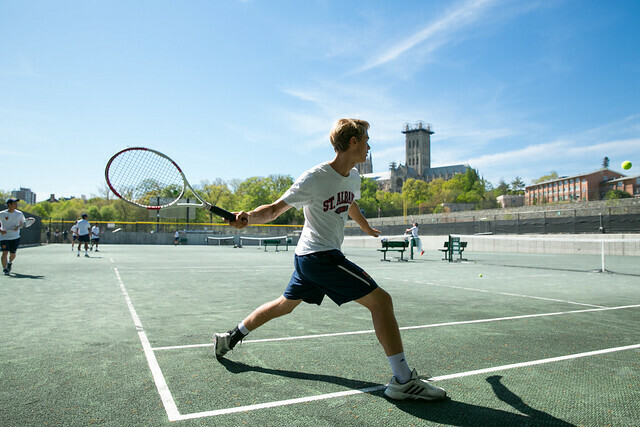 Tennis Center (& Track) now open for 2019! Tennis Center membership online registration is available, look for the membership button on lower left. Spring clinic schedules & registration available, see Adult and Lessons, Camp, Clinics sections. NO FURTHER LESSON REQUESTS TAKEN FOR WEEKENDS. Lessons on Weekday Afternoons are not available. If you have questions, contact tenniscenter@stalbansschool.org. Ages: 10–12 *2 spots remain, pricing updated. No signups accepted after April 17.